TEAM 7 brings out the musical qualities of natural wood thanks to cubus pure Home Entertainment, the modular system for all entertainment technology applications. From basic solutions to home cinema and high end audio, each module can be customised to meet all individual requirements and suit any living space. 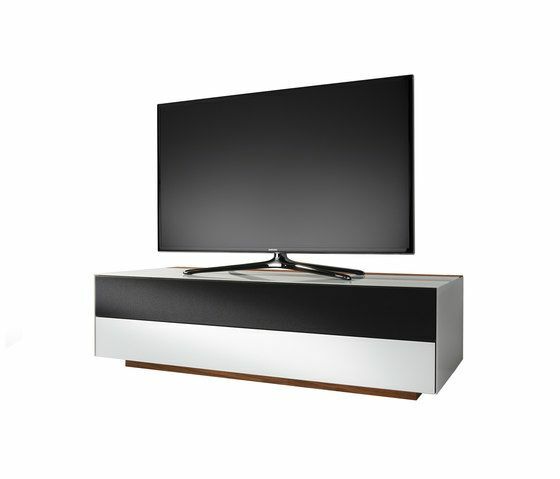 The natural wood units augment the sound quality beautifully; whether you prefer classical concerts, great electric guitar sounds or action films, cubus Home Entertainment will provide a unique audio experience. Steinway & Sons have been using TEAM 7 wood for many years now, as only perfectly dried and crafted wood can create such pure and brilliant sounds. The Home Entertainment range can be incorporated into both the cubus and cubus pure ranges – as a rectilinear standalone media unit or as part of a wall unit, as a wall solution or room divider. The minimalistic purist design and the technical innovations combine with the traditional craftsmanship to create an exciting contrast. No wonder the design was awarded the iF product design award 2013. This year, the Home Entertainment system is available in two new widths, 160 cm and 200 cm, which provide more space for all common soundbar systems and devices including games consoles, multi-channel AV receivers, Blu-ray players and external storage media. An intelligent air supply and extraction system ensures good ventilation for sensitive equipment and temperature sensors control the built-in electric fan as and when necessary. The concealed and well-organised cable management system prevents your cables from getting tangled and is operated from above, ensuring that it remains easily accessible.